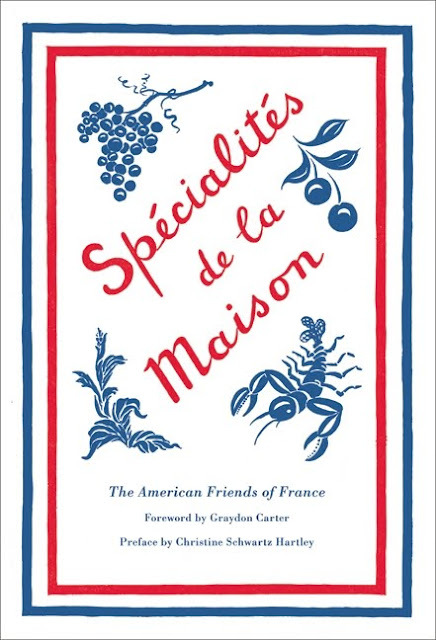 I just pre-ordered the new edition of Specialites de la Maison by American Friends of France and Christine Schwartz Hartley. The original version, published all the way back in 1940, is back in print with a new foreward by Vanity Fair's Graydon Carter. The book is a collection of personal recipes from a fascinating set of people including major socialites from that era, Hollywood stars, couturiers, and restauranteurs. I can't wait to get my hot little hands on it when it comes in the mail and experiment with all the recipes from people like Katharine Hepburn, Christian Dior, Charlie Chaplin, and Eleanor Roosevelt. There's nothing more interesting than seeing what people you respect and admire make up for themselves in the privacy of their own kitchens--there's something intimate and telling about it that you can't get from many other things. After all, you are what you eat. I managed to get a sneak peek at some of the charmingly simple, old-fashioned recipes in the book and I was especially taken with Mrs. James Roosevelt's method for making Moules Mariniere. Today, the weather is officially hitting the 70s for the first time in what seems like years, and all I can think of is a little town on the tip of Long Island called Montauk, where I like to spend my summers, and digging into a steaming bowl of light, buttery, delicious mussels eaten right on the beach during a perfectly breezy sunny day. Try the recipe. It's a keeper. Wash and brush thoroughly mussels. Put them in a pan with butter, shallots, and wine. Season with a pinch of salt. Cook on stove 15 minutes, then remove from fire. Open mussels and put on platter on their half shells. At the same time let the liquid boil until it simmers to half its former volume. Add a pinch of chopped parsley. Remove again from fire, add a lump of butter and Hollandaise sauce, and mix briskly with a whip. Complete the seasoning with cayenne pepper and lemon juice. 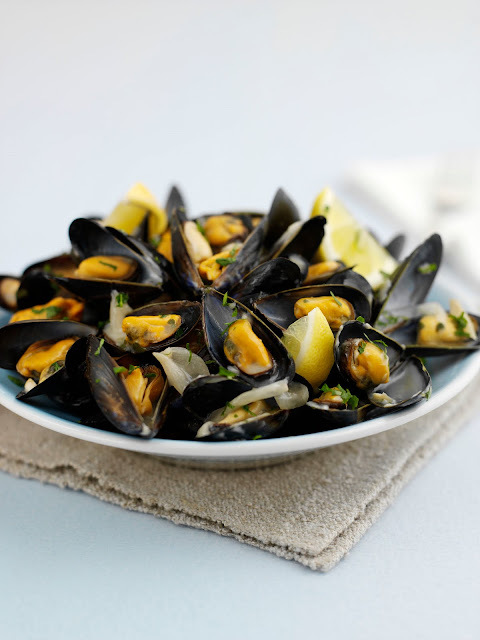 When ready to serve, pour that sauce over mussels and sprinkle some chopped parsley on top. Serves 4.